Remove your restrictive stock pipes and upgrade the underhood with a powerful performance Exhaust system for significant power gains and tremendous torque. These Exhaust systems help to reveal horsepower and torque stolen by stock exhausts, due to their design, concentrated on sports aspect. Being properly designed, unlike your factory exhaust, they positively affect the sound, meaning a smooth, throaty growl. Apart from unbeatable performance, your 2003 Volkswagen Touareg receives the improved gas mileage due to tubes being mandrel bent, what increases the exhaust flow. Reducing engine heat, relieving backpressure, and improving exhaust scavenging, Volkswagen Touareg performance Exhaust systems deliver greater efficiency. Counting on performance boost, don't forget that your vehicle will get a really aggressive look, featuring tailpipes running out of your back end or sides. 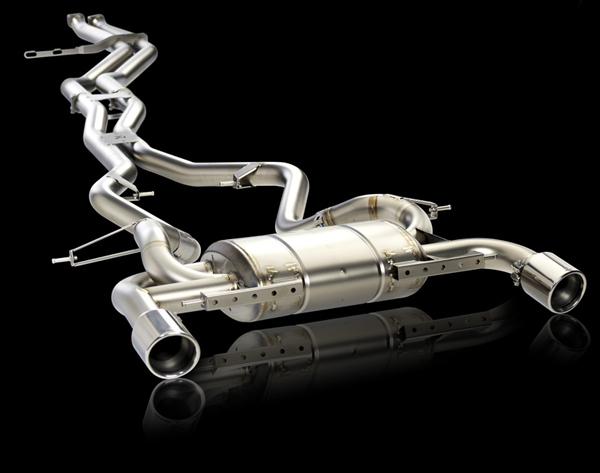 2003 Volkswagen Touareg performance exhaust systems are designed for easy installation. However, professional installation might be a better solution for customers with little to zero experience in replacing auto parts.